We have spent many weekends over the last couple of months traveling the five hours back and forth between Santa Cruz, Ca and Oxnard, Ca (our home and Pablo’s current location). The trips are starting to wear on us. We speed down the coast, work like mad for two days, and then speed back home to our jobs and home life. It is like living two separate realities. 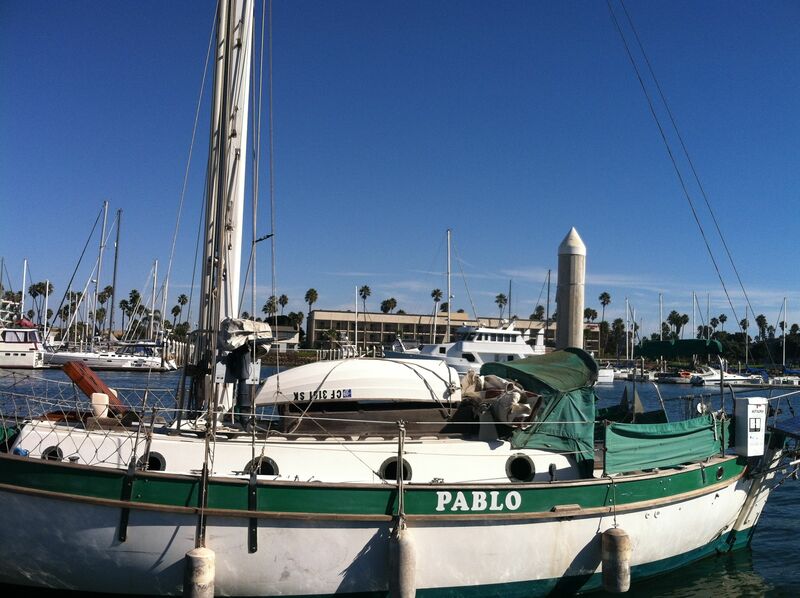 This weekend we will be getting “Pablo” ready to be taken out of the water next week. Our hope is that she can get a new motor, her mast reworked and get back into her slip by Thanksgiving. The sooner she is back in the water, the sooner we can take her home. It will be so much easier to work on her when she is only twenty minutes from our front door. 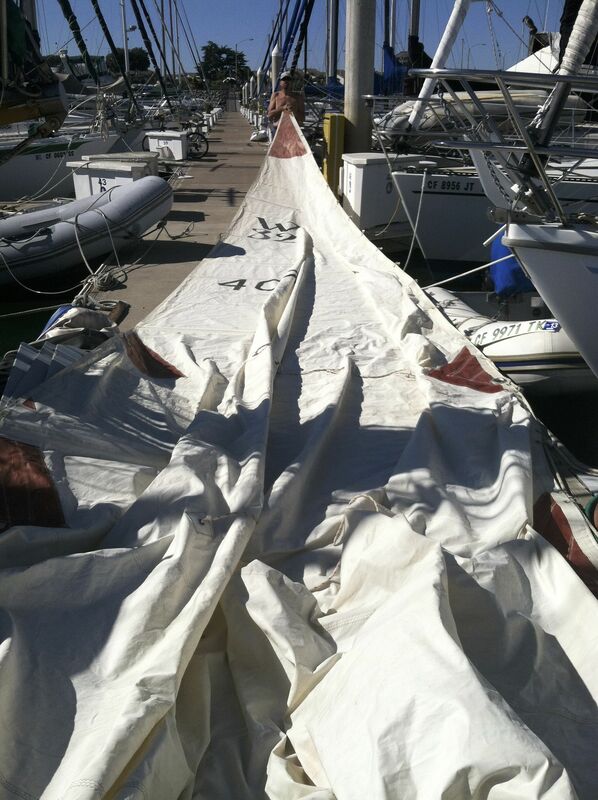 In preparation for the haul out we removed her sails (main, jib, and staysail). We removed her boom, removed the cotter pins from her rigging. Also, we removed our belongings and secured the galley and lockers. It was sad to see her without her boom and sails. It was also hard knowing that we would not be working on her for a few weeks. However, we were happy the necessary work was going to get done and the thought of bringing her home kept us smiling. This entry was posted in Uncategorized and tagged Channel Islands, Getting ready, Learning. Bookmark the permalink.